The term ‘appellation’ is common parlance in the wine world. But is it really important for you, the casual or committed wine lover, to understand? An appellation simply means the specific place a wine is from. It is the grape’s hometown. Within Niagara wine country, there exists the broader appellation of Niagara Peninsula, which gets broken down into regional appellations, Niagara Escarpment and Niagara-on-the-Lake. Within the regional appellations there are even more specific definitions of place called sub-appellations. Each of these areas has a distinct personality, often referred to as terroir, resulting in very different growing conditions for grapes. These growing conditions affect the ripeness of grapes as well as the aromas and flavours, acidity, tannin and amount of alcohol in your wine. If we look at the Niagara-on-the-Lake appellation, the main factor that influences the grapes being grown is proximity to water. Bordered by Lake Ontario and the Niagara River, and moderated by the “lake effect”, the climate is generally warmer and grapes ripen very well. 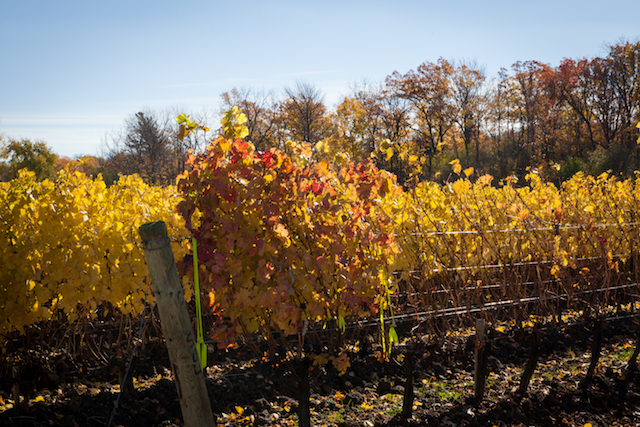 An earlier spring and later fall in Niagara-on-the-Lake mean the grapes have a longer growing season, resulting in ripeness at harvest and a depth of flavour in the wines. This is especially good for red varietals like Merlot and Cabernet Sauvignon but it is also good for making riper and juicier versions of Chardonnay and Sauvignon Blanc. In Niagara-on-the-Lake, the four sub-appellations of St. David’s Bench, Four Mile Creek, Niagara Lakeshore and Niagara River were mapped based on differences in soil, climate, elevation, precipitation and heat. Differences in soil from Niagara Lakeshore to St. David’s Bench (sand versus clay) have a significant effect on the style of wine in your glass: a softer more elegant red versus one with more structure and body. Differences in temperature and climate from Niagara River (milder in winter) to Four Mile Creek (warmer in summer) will have an effect on the grapes planted and the style of wine made: big, juicy red wine coming from warmer pockets and crisp, bright white wine from cooler sites. There are so many distinctly different growing areas – some even as close as the next row of vines on a single property – that you will find vastly different wine styles all within one appellation. And with the longest history of winemaking in Ontario, winemakers in Niagara-on-the-Lake have had a good amount of time to sort all this out and make the right choices for the wines they want to create. Anjana Viswanatha [Sommelier CAPS, CMS] is the founder and principal of Wednesday Night Wine (www.wednesdaynightwine.ca), a wine instructor at George Brown College and is the Marketing Manager for Wineries of Niagara-on-the-Lake (www.winieriesofniagaraonthelake.com, @niagarawine on Twitter and Instagram, @wineriesofniagaraonthelake on Facebook). Get in touch with Anjana: anjana@wednesdaynightwine.ca and follow her on Instagram @wednesdaynightwine.